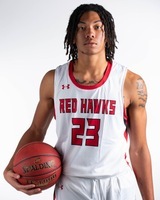 HICKORY – Sophomore Jordan Powell of Catawba Valley Community College (CVCC) has been selected to the All-Region X men’s basketball team. Powell, a 6-foot-7 forward from Hartford, Conn., is a first-team pick and 6-7 sophomore forward Isayah Johnson from Charlotte received honorable mention. Powell finished as a team leader in multiple offensive categories, including 14.9 points per game, 9.7 rebounds per game and a 66 percent field goal percentage. His career high in scoring came on Jan. 6 when he logged 32 points against rival Pitt. With that scoring output, he became just the fifth CVCC men’s basketball player in the past eight seasons to record 30 or more points in a game. Powell scored in double digits 23 times in 31 games, recording double doubles in 12 of those games. Johnson, who played high school basketball at West Charlotte, finished second for the Red Hawks in scoring with 11.3 points per game, and he logged the third-most rebounds per game this season (5.4). 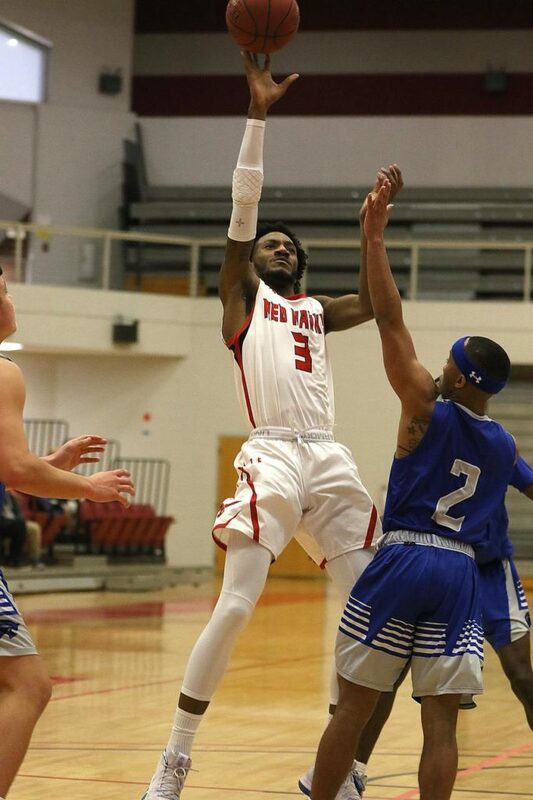 A Mars Hill commit, Johnson finished his two-year career at CVCC with 683 points and 373 rebounds — which are the third-most in a Red Hawks career. His 55 blocked shots, 275 field goals and 273 2-point field goals are school career records. The Red Hawks finished 22-9 last season and went 13-7 in conference games. The 22 wins are the second most in a season in program history.